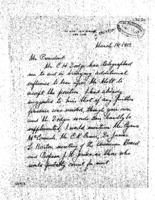 Date is exactly "1913 March 4"
Samuel Gompers writes to Woodrow Wilson in reference to amendment adopted to the Sundry Civil Appropriation Bill. 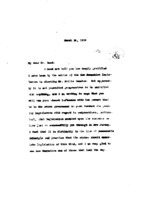 Edward C. Jenkins writes to Woodrow Wilson regarding C.H. 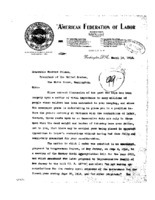 Dodge's plans to influence Mr. Mott to accept position. 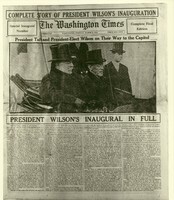 Woodrow Wilson delivers his first inaugural address. 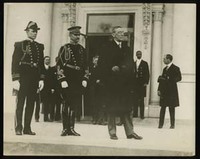 Captain Cootes writes to Cary T. Grayson to thank him for his help in securing a position as aide to newly-elected President Woodrow Wilson. 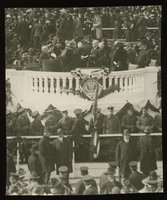 Woodrow Wilson taking the oath of office at his first inauguration. 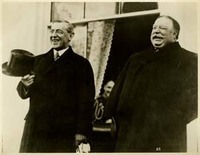 Woodrow Wilson and William H. Taft at the White House on the day of Wilson's first inauguration. 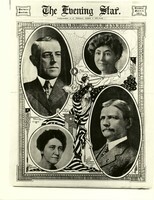 Night Scene on Pennsylvania Ave.
Mr. and Mrs. Woodrow Wilson extend an invitation to Mr. and Mrs. N.O. 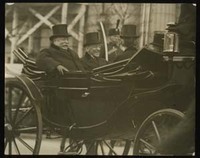 Vruland to come to the White House for a luncheon. 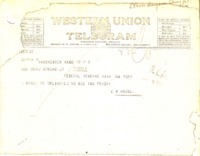 This envelope for the 1913 Presidential Inauguration is addressed to N.O. Vruland. 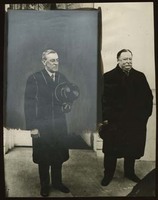 Colonel House to Benjamin Strong Jr.
Edward M. House plans a meeting with Benjamin Strong Jr. on Friday.